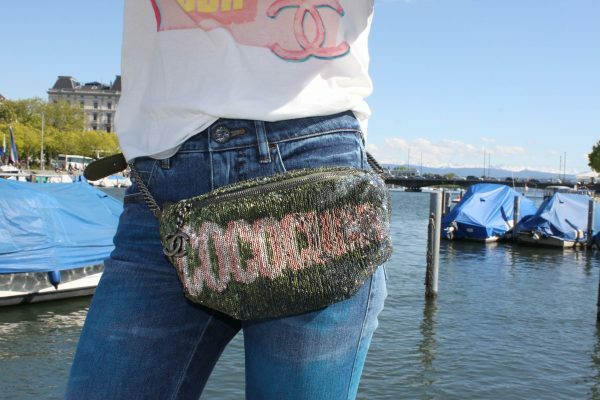 You are currently browsing the archives for the tag 'Coco Chanel'. Is it a year? An address? Two numbers combined? 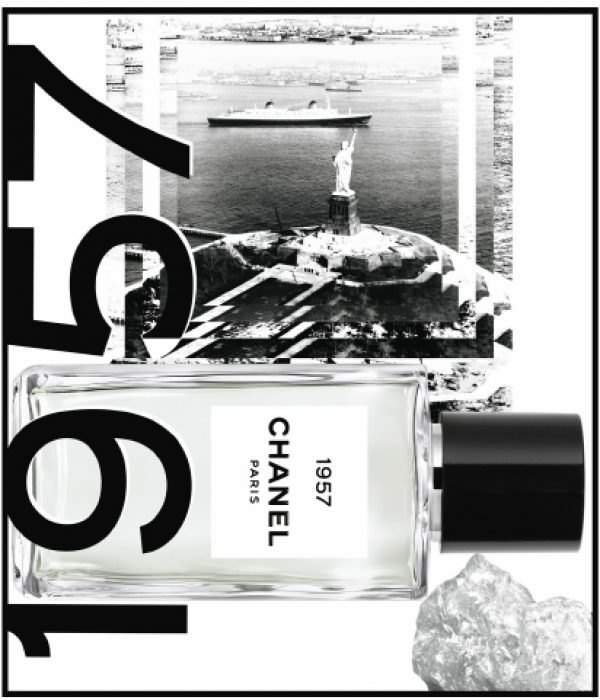 1957 is all those things as well as the link between CHANEL and the United States. A continent enamored with Gabrielle Chanel, captivated by her creations since her debut in 1912 and then by the personality of a free and independent woman who owed her success to no one other than herself. 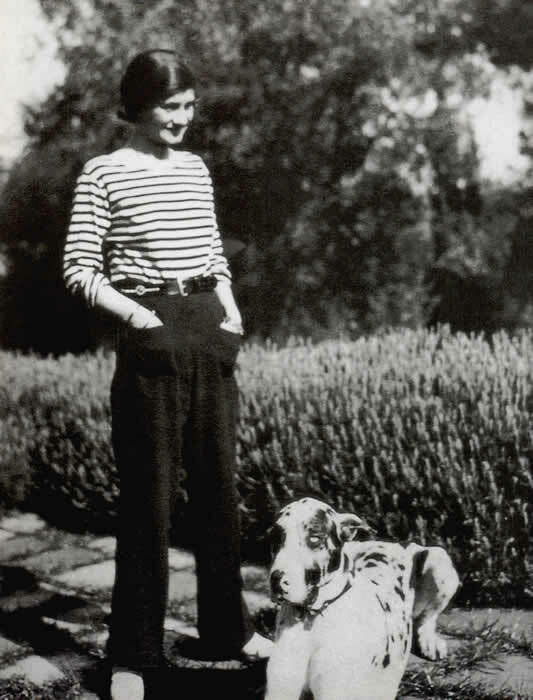 The fascination was mutual: Mademoiselle Chanel was drawn to America by her family’s past and dreams of her beloved father who set sail for the New World. 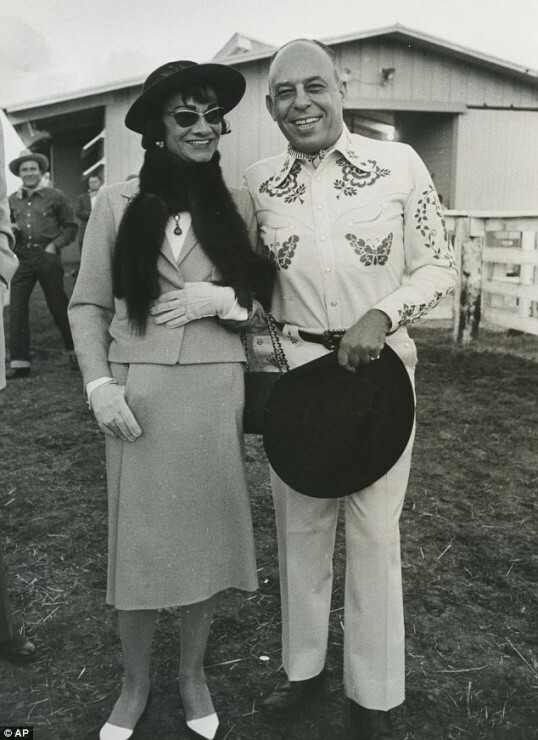 Her desire to also live this dream and achieve lasting fame became a reality: «I admire and love America,» she confided to Paul Morand, «it’s where I made my fortune» (1). And it is also where she was hailed as the most influential designer of the 20th century in 1957. Taking in Texas: Chanel and Marcus during the Marcus Western party outside Dallas on September 7th 1957 (this trip inspired Lagerfeld later for the Paris – Dallas Metiers d’Art show). 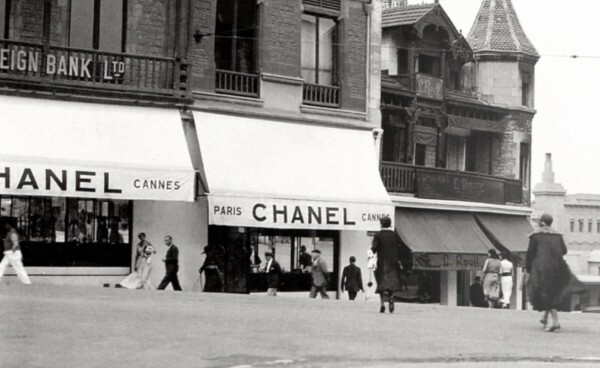 The love story between CHANEL and America began with fashion. The young milliner’s hats were distributed in New York department stores, and the press raved about her avant-garde style: Women’s Wear Daily predicted a great future for the famous sweaters created in Deauville from the moment they appeared in 1914 (2) and CHANEL designs flourished in the pages of Vogue, Harper’s Bazaar and Vanity Fair each season. 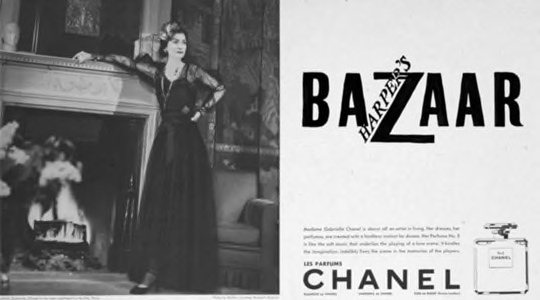 Coco Chanel for N°5, its first campaign as featured in Harper’s Bazaar in 1937. And then there was fragrance, of course. France discovered the fragrance N°5 in 1921, and the Americans fell in love with it three years later in 1924, the same year the first makeup collection was launched. «Americans buy all things luxurious, and the greatest luxury is fragrance»: Gabrielle Chanel’s intuition was once again right. 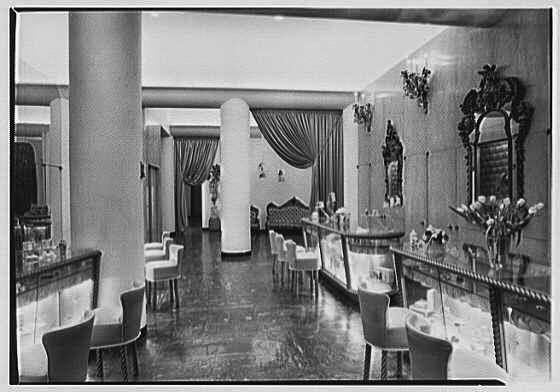 In 1928, Vogue US slipped into the beauty salon of the Jay Thorpe department store and met the hostess trained in Paris by CHANEL, who, in addition to performing treatments with CHANEL skincare products, also guided women in their choice of fragrance, «one of the most difficult things in the world when you have tried three or four» (3). In 1934, advertising campaigns for fragrances in American magazines began introducing Americans to new scents, unprecedented in their conception – N°5 was the first luxury fragrance to use aldehydes – and revolutionary by their rich and floral olfactory composition. 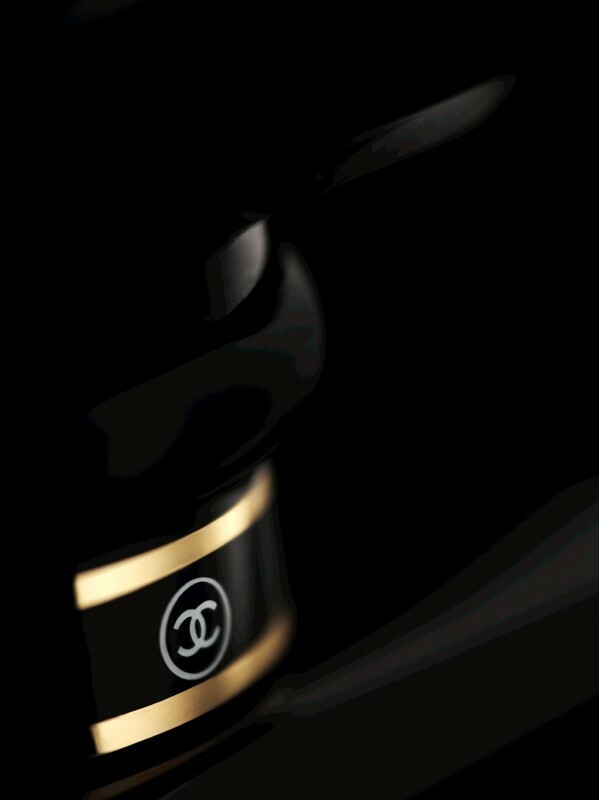 The name CHANEL was on all lips, and its style worn by all women. 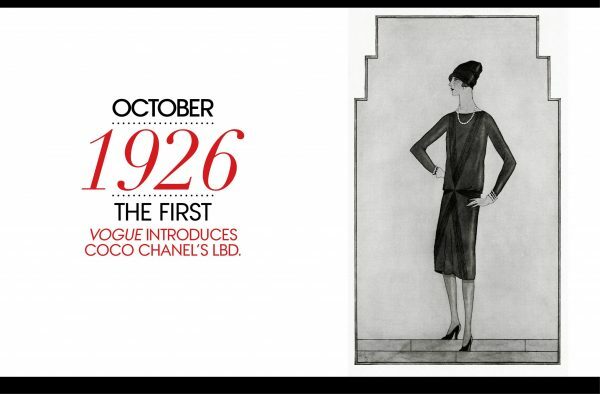 The iconic little black dress was celebrated by Vogue US in October 1926. 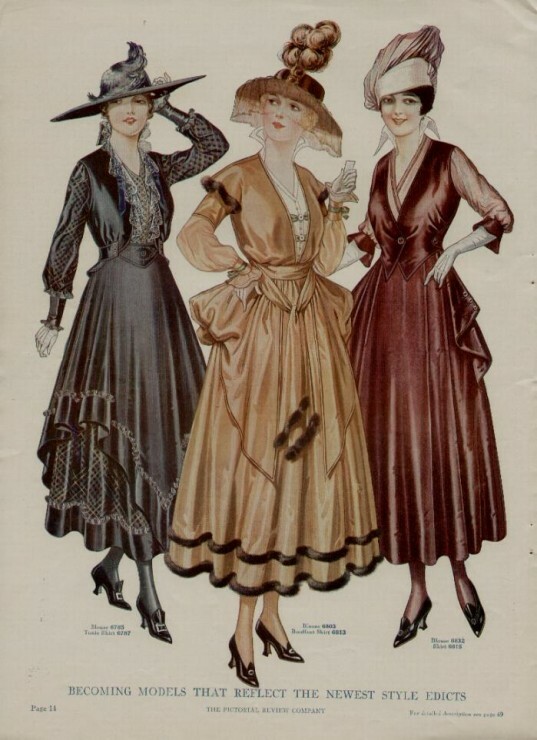 By referring to the Chanel design as the «Ford dress», in reference to the Ford T automobile which had been a best-seller since 1908, the magazine ushered the little black dress into fashion history. On Broadway, actresses Katharine Cornell and Gertrude Lawrence took to the stage dressed in CHANEL. Hollywood also clamored for Gabrielle Chanel, who travelled to Los Angeles at the request of Samuel Goldwyn in 1931 to dress the actresses of MGM Studies, including Gloria Swanson, who became one of her friends. 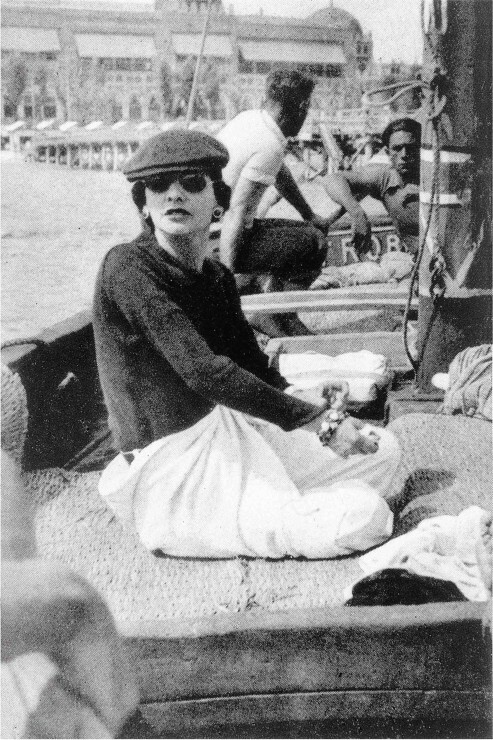 Coco Chanel during a working visit to Los Angeles, in 1931. 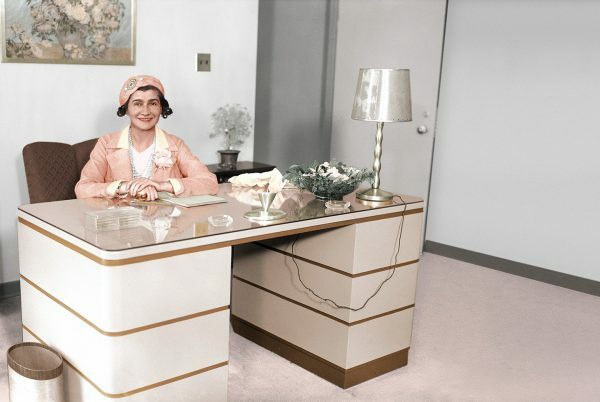 Photo: © 1931 Los Angeles Times; Digital Colorization by Lee Ruelle / via Vanity Fair. Delighted to finally discover the United States, the creator first stopped in New York with Misia Sert, where she was welcomed with great pomp. And, on their way back from California, the two friends visited Chicago and San Francisco before returning to New York. The trip lasted one month, and the American press took advantage of the opportunity to try to uncover the secrets of Gabrielle Chanel, the unstoppable businesswoman ahead of her time. 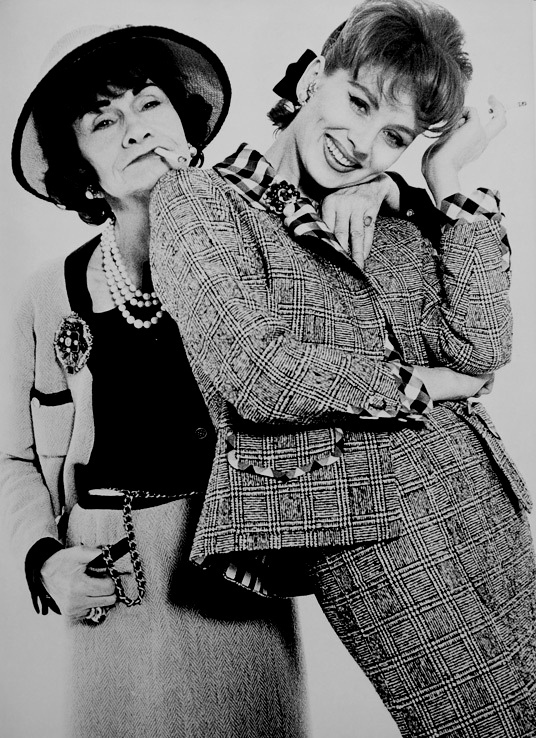 From the New York Times to the New York Herald Tribune, not to mention The New Yorker, Vogue and Harper’s Bazaar, Coco was everywhere and gave countless interviews from her suite at the Pierre Hotel. Each one of her outfits was observed in detail, her pearl necklaces and style drawing much admiration. From then on, in America, CHANEL incarnated French elegance and was synonymous with the fashion to be followed at all costs. 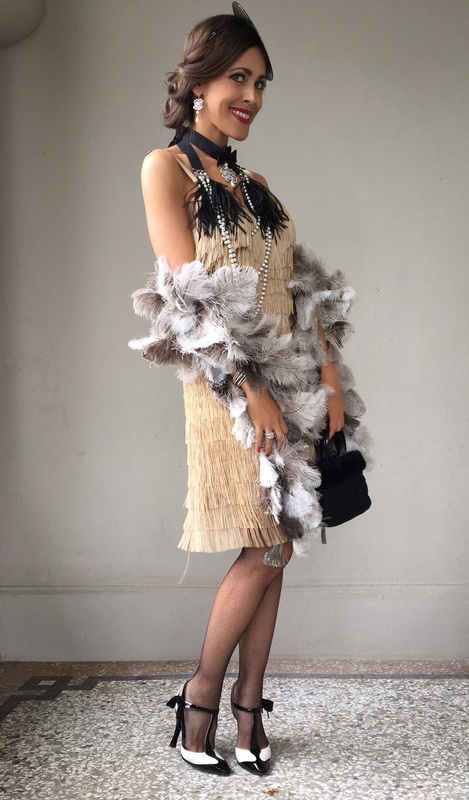 At the end of her trip, an article in the June 1931 issue of Vanity Fair praised the designer in their “«We nominate for the Hall of Fame» feature: «Gabrielle Chanel was the first to apply the principles of modernism to dressmaking; because she numbers among her friends the most famous men of France; because she combines a shrewd business sense with enormous personal prodigality and a genuine enthusiasm for arts; and finally because she came to America to make a laudable attempt to introduce chic to Hollywood». 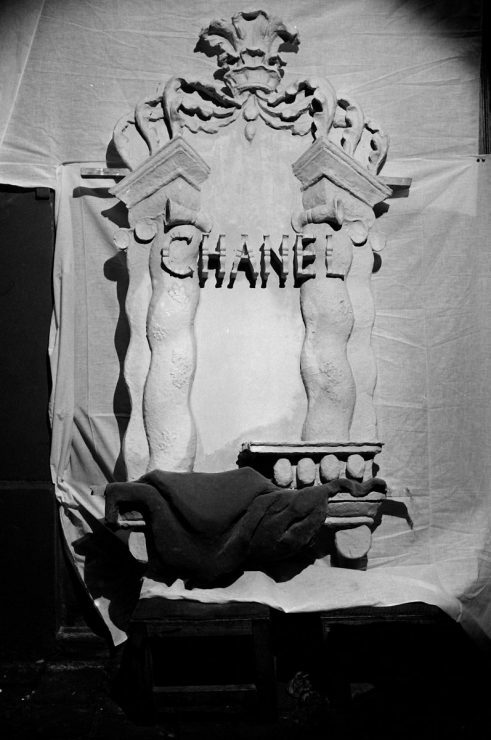 The 1939 New York World Fair only confirmed the infatuation: the CHANEL showcases, in crystal and with sculpted heads, presenting objects and accessories that evoked the personality of Mademoiselle Chanel, were among the most admired by 44 million visitors. Although she travelled to the United States with her friends or photographers like Horst P. Horst, Gabrielle Chanel made her big comeback in 1957. 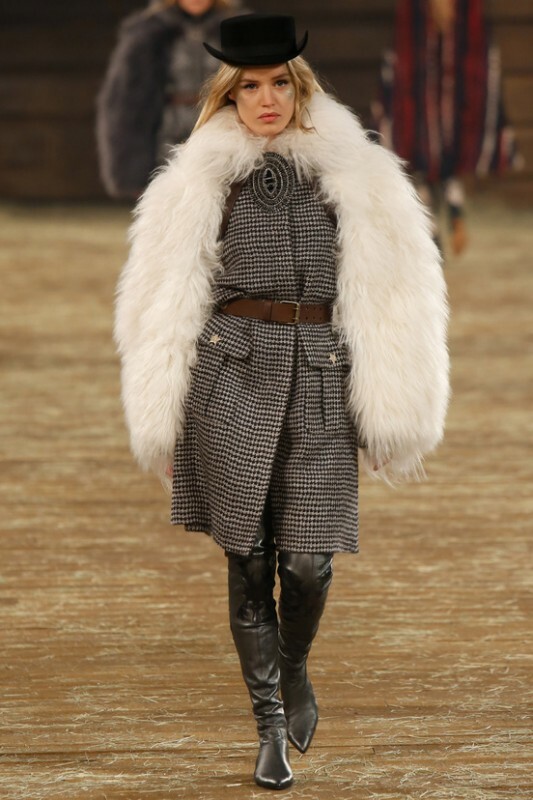 Three years earlier, Mademoiselle Chanel had returned to the world of fashion with a collection that ran totally counter to the style of the time. While Paris gave her the cold shoulder, America heaped her with even more praise. Life magazine gave her an ovation: «At 71, Gabrielle Chanel is creating more than fashion: a revolution» (4). Truman Capote himself referred to her as a «fashion visionary». 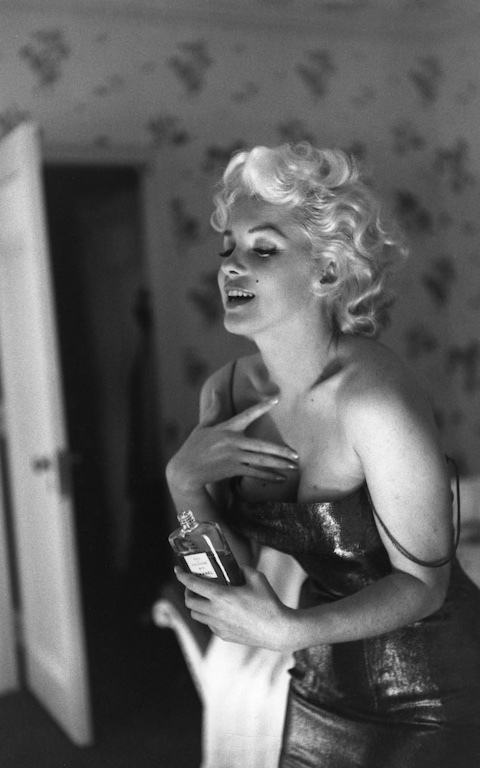 But how could the land where anything was possible forget when in 1952 Marilyn Monroe made N°5 immortal by declaring she wore nothing but a few drops of the fragrance to bed? And so 1957. That year, Stanley Marcus organized the first Neiman Marcus Fortnight in Dallas to celebrate the department store’s fiftieth anniversary. Three hundred fashion designers were invited, but only one was welcomed like a star: after arriving by the first foreign aircraft ever to land at the Dallas Love Field airport, Gabrielle Chanel climbed into the only white Rolls Royce in the procession, exclusively reserved for her. Her destination ? The podium on which she was to receive the Neiman Marcus Award for Distinguished Service in the Field of Fashion, thereby declaring her the most influential designer of the 20th century. 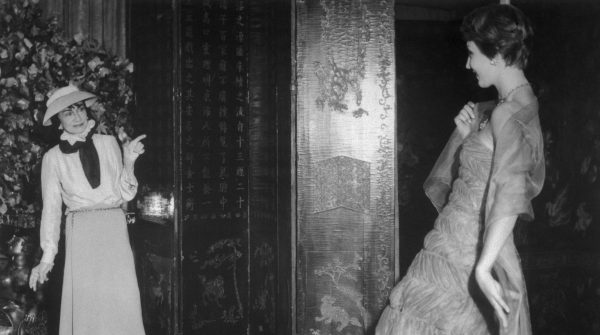 At her side was Suzy Parker, the first true top model in fashion history. In 1959, the beautiful American star became the face of N°5 featured in a campaign by Richard Avedon, followed by actresses Candice Bergen and Ali McGraw, in 1965 and 1966. 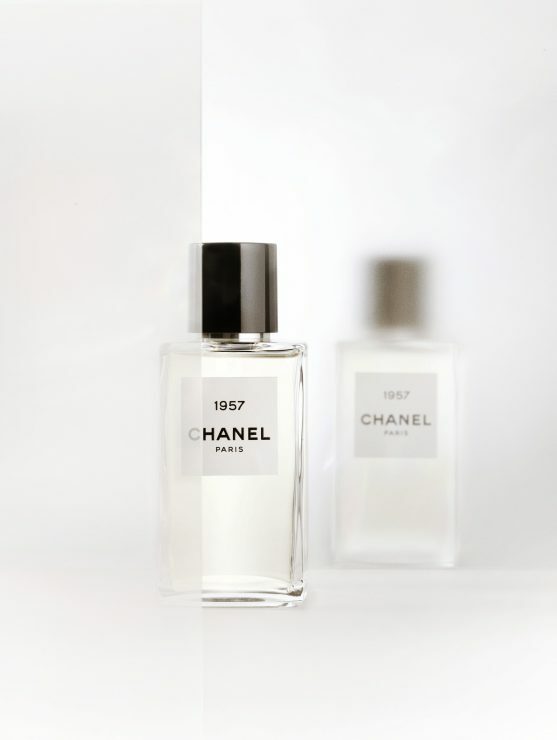 The love affair between CHANEL and America grew even stronger through the art world: in 1959, the New York Museum of Modern Art exhibited the packaging of the fragrance bottle as an example of minimalist elegance, which was later reinterpreted by Andy Warhol. 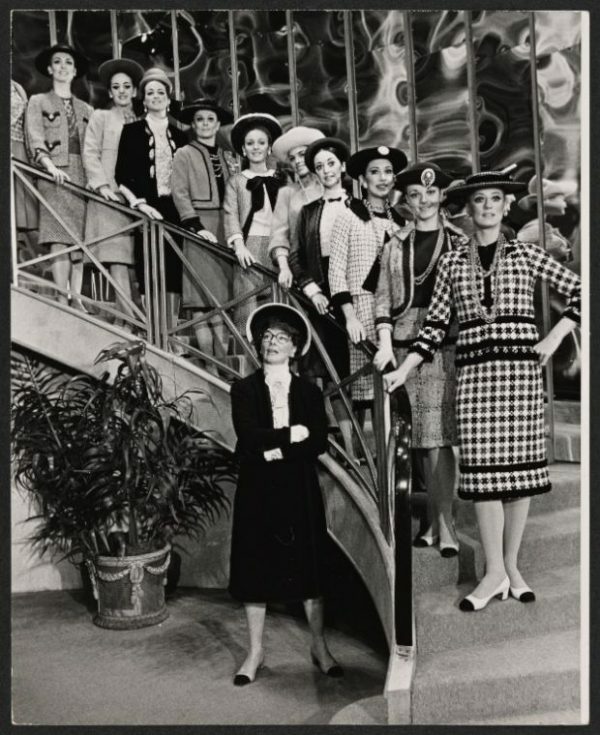 The Broadway musical Coco paid tribute to Gabrielle Chanel in 1969 with a run of 300 performances starring Katharine Hepburn in the role of the designer. «Coco» was Katherine Hepburn’s only musical on Broadway (1969). A unique, bold and passionate rebel at heart who let nothing stand in her way, an independent, hardworking woman driven by an innate desire for success, Gabrielle Chanel became America’s adopted daughter. A daughter to whom the country paid homage on January 10, 1971: having followed and championed her from the start, the New York Times devoted three front-page columns to her «incalculable» influence on fashion and its evolution (5). Still today, history has proven her right. 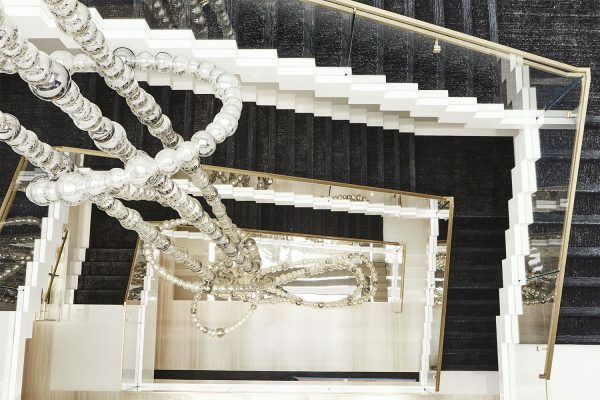 The pearl sculpture, designed by Jean-Michel Othoniel, extends down a central staircase within the newly opened CHANEL store on 57th street in New York City. 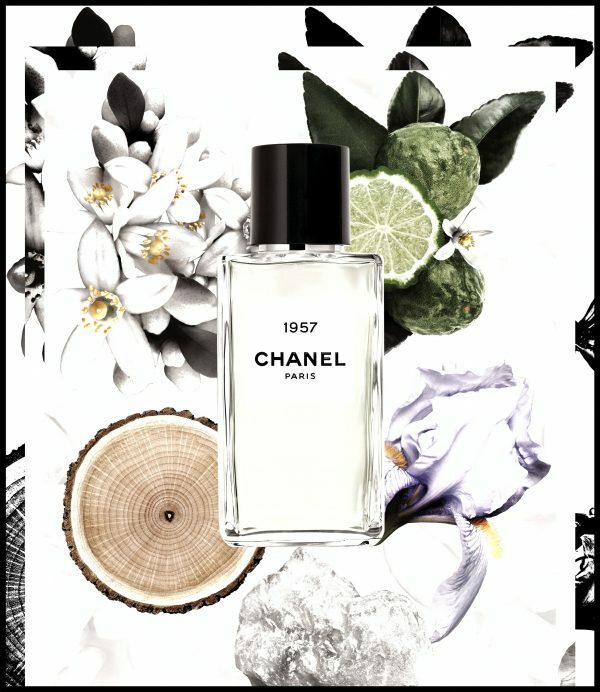 Alongside the reopening of the New York boutique on 57th street, CHANEL is celebrating 1957 with a new eau de parfum in the LES EXCLUSIFS DE CHANEL collection. 1957: the year of Gabrielle Chanel’s consecration in America, but also 19, like the day of her birth, and 57, like the street number of the biggest CHANEL store in the United States. 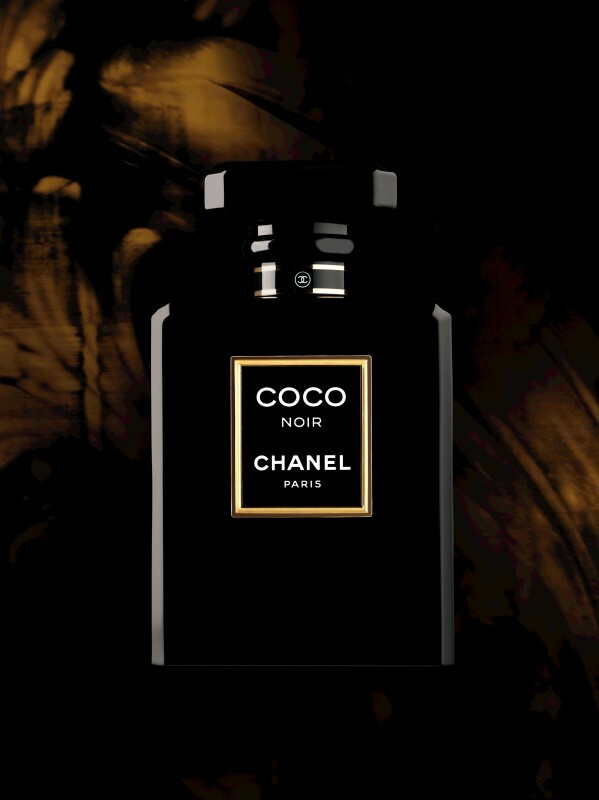 A creation that builds an olfactory bridge between France and America, joined by that iconic style. A timeless style, the CHANEL style. 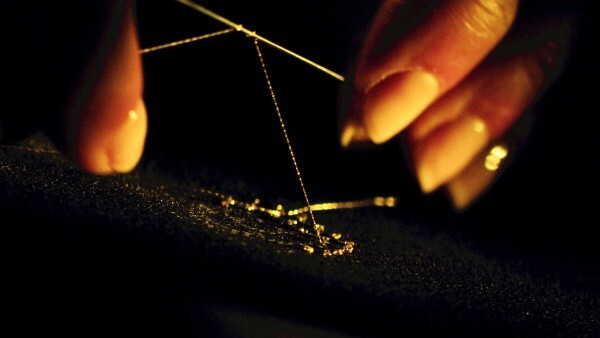 «Her special style is compounded from three ingredients: girlishness, comfort, and a generous helping of pearls. In a country where emphasis is on youth and free and easy living, her designs were bound to succeed». 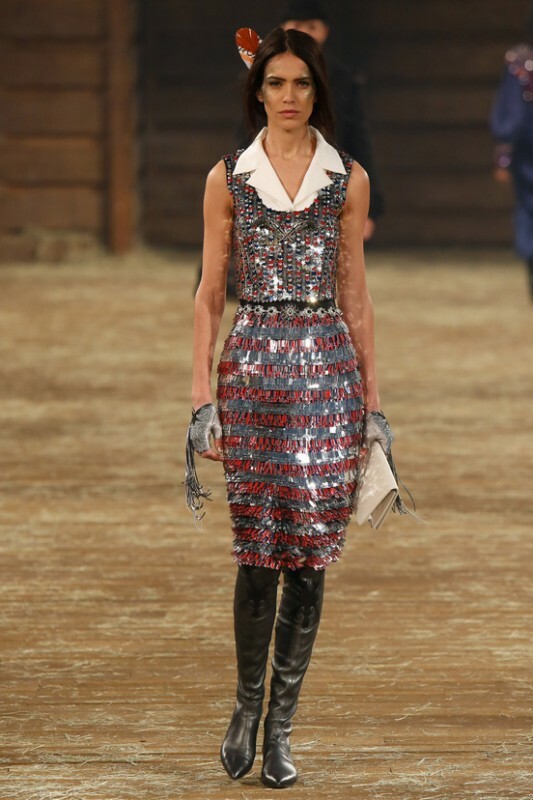 With this definition of the CHANEL allure, the New York Times said it all (6). 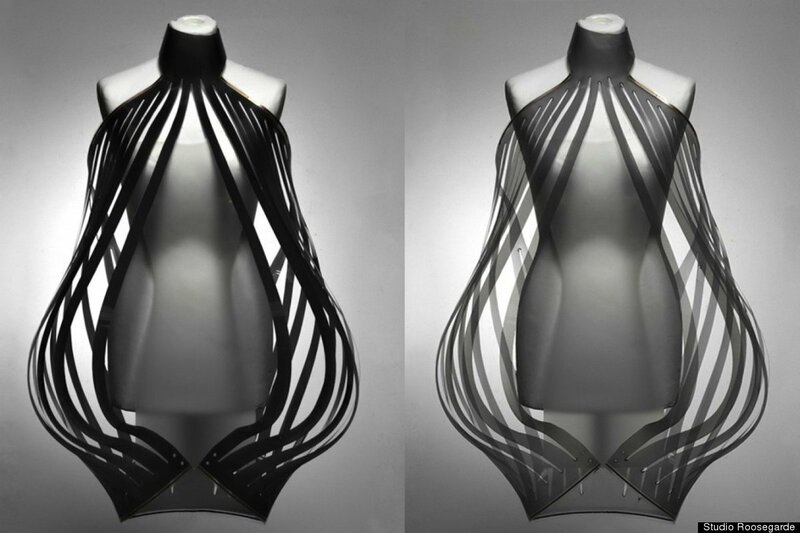 A modern, avant-garde style that gave women freedom to move. An eternally young and modern allure that broke with the codes of the time and shifted the conventions of chic. An art of living with a simplicity that hides a painstakingly crafted complexity, steeped with a luxury that has no need to flaunt or justify itself. The third LES EXCLUSIFS DE CHANEL creation composed by perfumer-creator Olivier Polge, in cooperation with the CHANEL Laboratory of Fragrance Creation and Development, 1957 illustrates the mystery of the deceptively simple CHANEL style. A balance of creamy softness, enveloping comfort, and light perfused with discreet power. A fragrance one adopts like a clean skin scent that becomes unique and deeply personal on each wearer. «For each fragrance in the LES EXCLUSIFS DE CHANEL collection, we explore a path we have never taken», explains Olivier Polge. «This time, I opted to work with musk, more specifically white musks. Their whiteness hides a great complexity: enveloping, they emit a more or less pronounced light, and vary in their soft and sensual effects. 1957 is a skin scent that, more than others, is revealed fully on the unique chemistry of each person’s skin». An assembly of eight white musks, 1957 is structured like a layered composition of transparent, translucent and opaque veils. 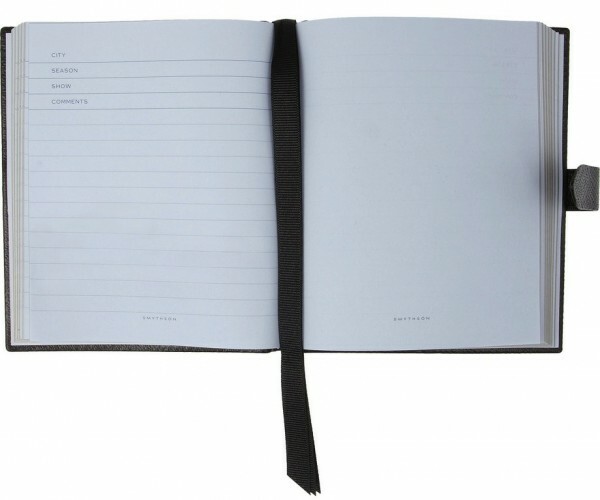 An immaculate superposition, comfortable and enveloping, soft, almost cushion-like. One can imagine one of Gabrielle Chanel’s beloved pearls, its delicate contours rendered imperceptible by the changing reflections: the matte whiteness of certain musks blends into the iridescent pearl of others. In this interplay of depths, woody, honeyed, spicy and floral vibrations create a luminous, powerful and sensual prominence. Vanilla and honey notes thus slip into the white musks, some with a hint of cedar, others with pink pepper, coriander seed or orange blossom. The faux simplicity of whiteness is revealed and magnified… The precision of an expertly crafted and yet abstract trail, free to enhance the skin by diffusing a distinctive and singular scent. Coco Chanel presenting her collection in 1957, the year of her comeback. «1957 also conjures up a certain idea of America», according to Olivier Polge. 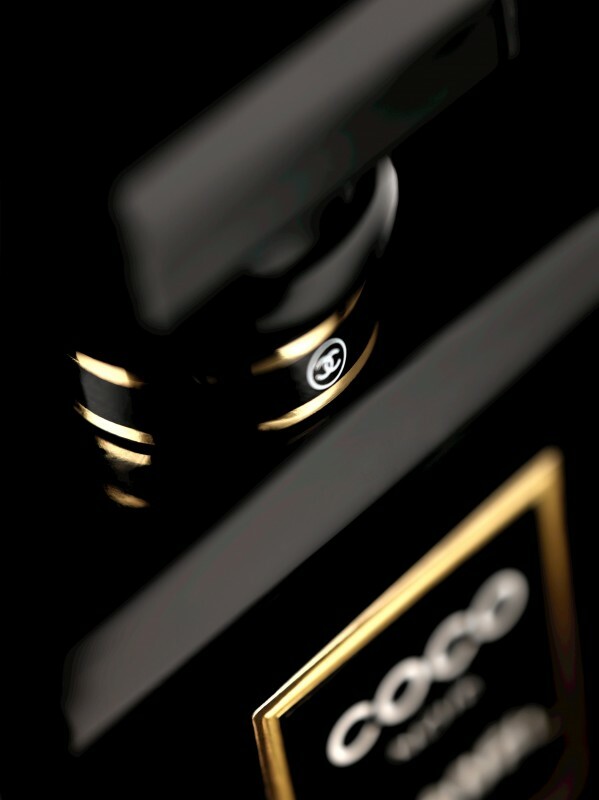 «An idea that the country has of fragrance and particularly with respect to CHANEL and N°5, which has become a model of olfactory inspiration, even for hairsprays and soaps. But also a concept that the United States introduced: what is referred to as a «sent-bon», (7) a word that speaks to me especially because it was so dear to Gabrielle Chanel. 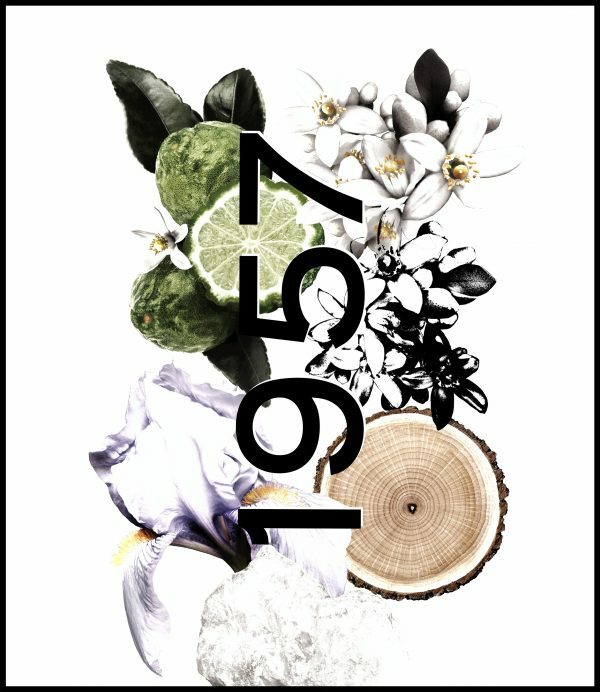 1957 is a link: it reinterprets American perfumery with the idea the USA has had about French fragrance since N°5 paved the way». The essence of CHANEL is reunited in its trail, filled with comfort and natural elegance, a presence within a chic, refined, personal and unforgettable discretion. (1) Paul Morand, The Allure of Chanel, ed. Hermann, 1996, p.183. (2) WWD, July 27, 1914. (3) Vogue US, September 29, 1928. (4) Justine Picardie, CHANEL sa vie, Steidl, 2010, p.330. (5) The New York Times, January 11, 1971. (6) Linda Simon, Coco Chanel, Reaktion books, Critical Lives collection, London, 2011 p.157. What does heritage mean to you? This was one of the questions I got asked in my recent interview for Breuninger Magazine that you can read here. 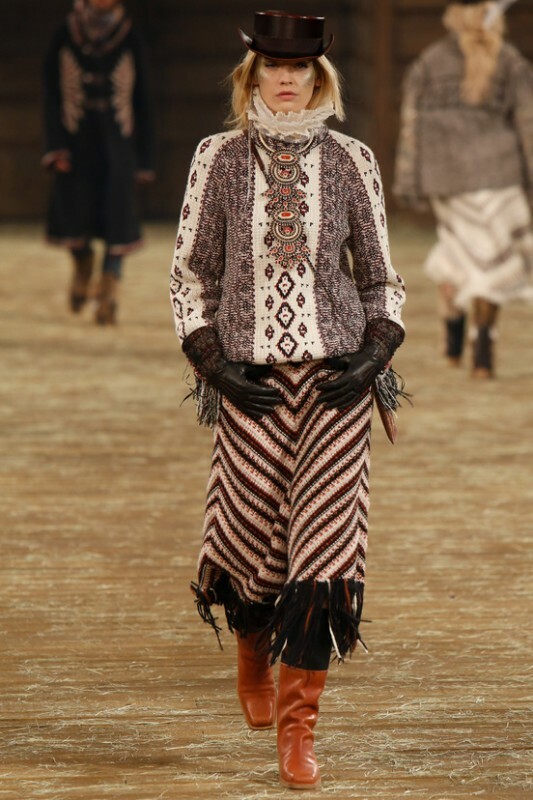 In terms of fashion, I am truly impressed by the undying legacy of Coco Chanel. 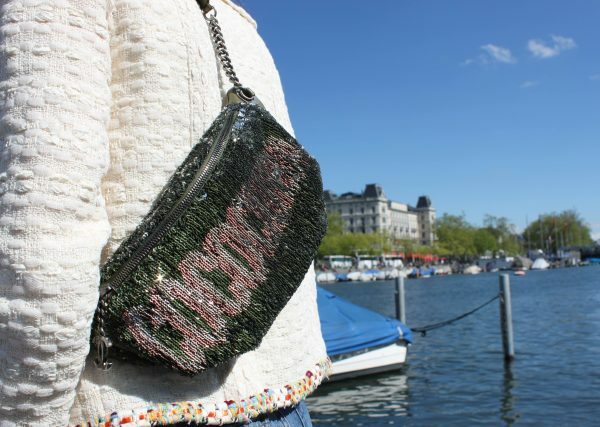 A piece of Chanel never goes out of fashion… speaking of which, I hope you will like today’s outfit. 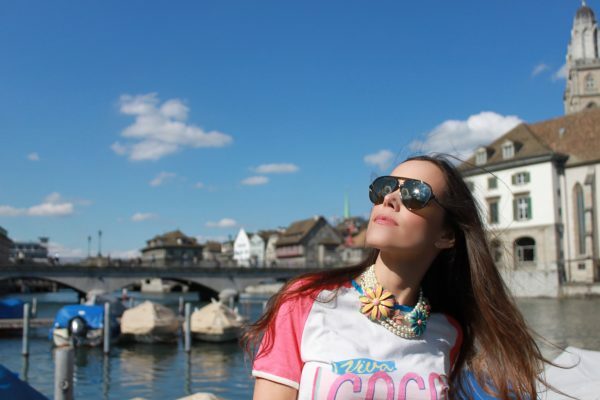 My look: Classic white tweed jacket with multicolored piping, graphic T-shirt «Viva Coco Cuba Libre», blue and turquoise tie-dye jeans, sequined banana bag and floral embellished pearl choker, all from Chanel‘s Coco Cuba Croisière 2017 collection. Pineapple jacquard pumps with mouse face by Gucci and sunglasses by Céline. 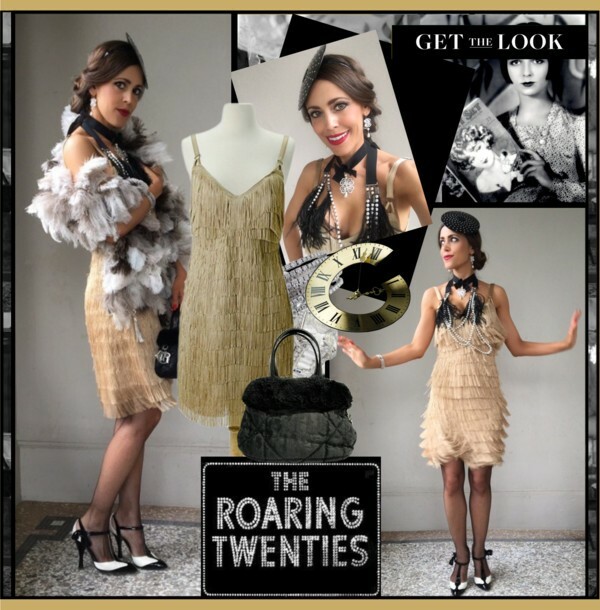 Last week, I had a little fashion challenge as I got a last minute invite to a «Roaring Twenties» party. 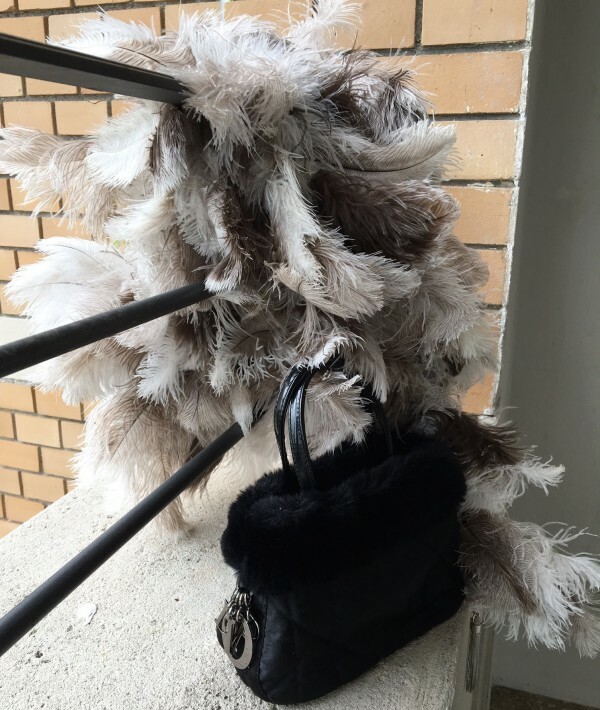 Thank God, Sandra’s Closet is full of little treasures that I have collected over many years… here is what I came up with. 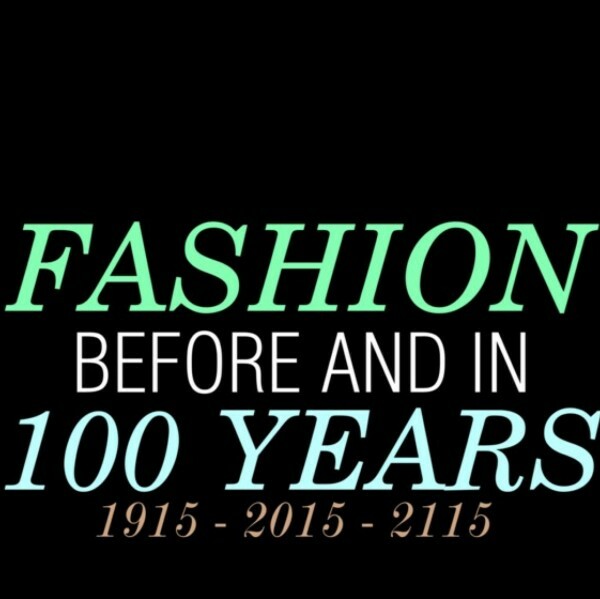 1920s fashion is considered one of the most glamorous decades in fashion history. 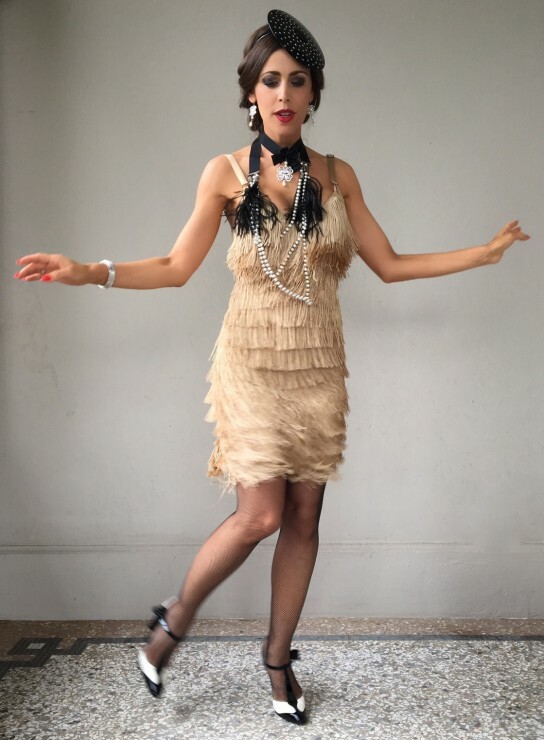 It was all about short flapper dresses in loose fitting that allowed women to literally kick up their t-bar shoes in new dances like the Charleston. The hair was worn shorter. 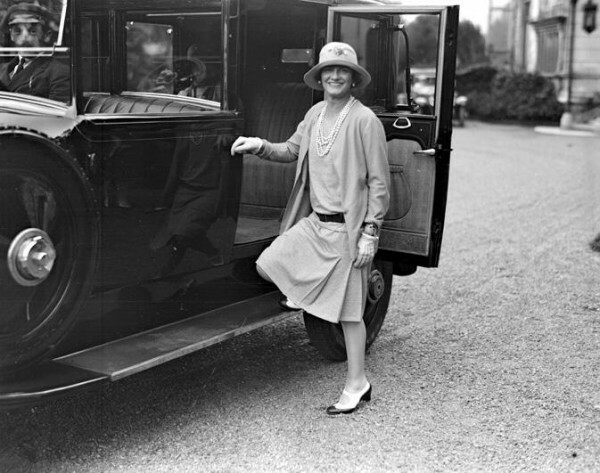 One of the first trendsetter of this style was Coco Chanel. diamond ring and bracelet by Vainard Fine Jewellery. For the fourth consecutive yearn CHANEL takes part in the “Only Watch” charity auction in favor of Duchenne muscular dystrophy. 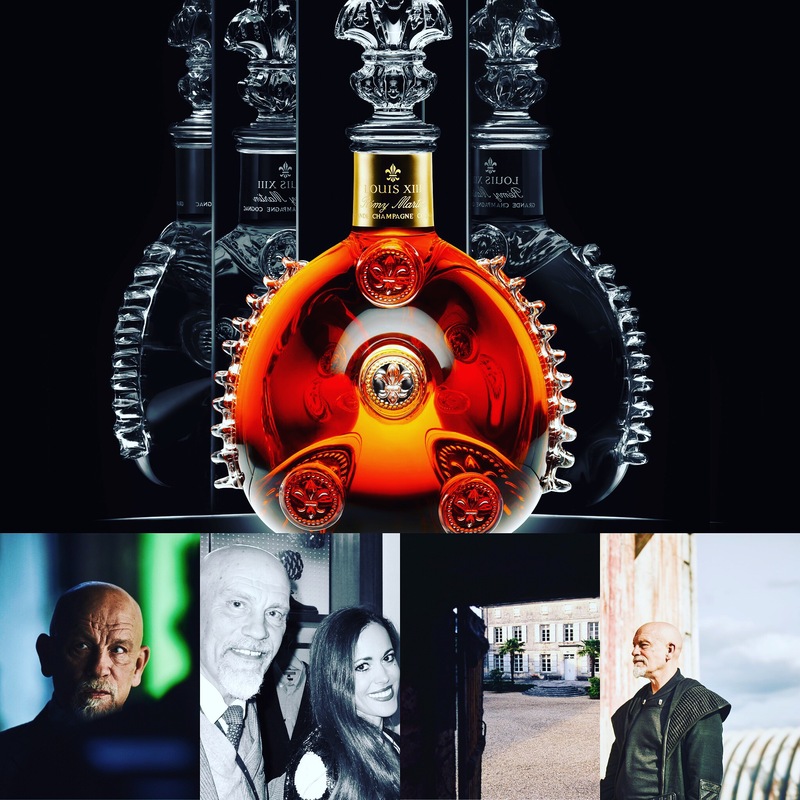 On November 7th, 2015 in Geneva, this unique piece will be up for auction. Before that, it will travel around the world, debuting during the Monaco Yacht Show, from September 23 – 26, 2015, followed by stops in Hong Kong (2-5/10), Beijing (9-12/10), New York (17-20/10) and London (24-27/10). Why is this watch unique? Since the birth of the House, exceptional savoir-faire has always been at the heart of CHANEL creations. 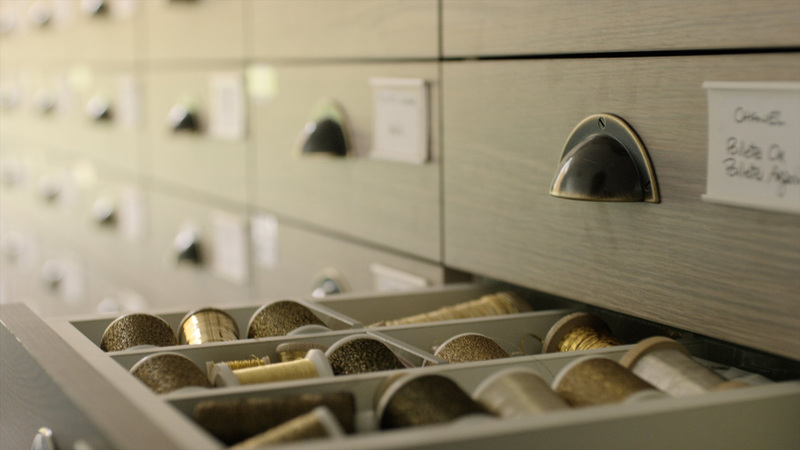 MADEMOISELLE PRIVE collection pays tribute to watchmaking arts and skills such as enamelling, engraving, setting and marquetry, but also to the artistic crafts of couture. 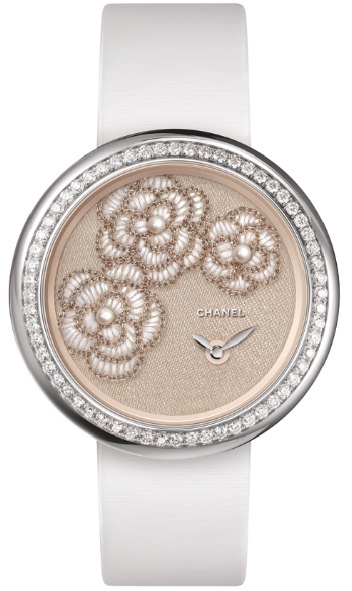 To enhance these exceptional timepieces, CHANEL has called on the services of Maison Lesage, the guardians of a rare and precious expertise of embroideries. Mademoiselle Chanel loved the delicate elegance and subtle milky colour of the camellia, making it her favourite flower. This symbolic flower is gracefully reinterpreted in this unique model. Fruit of an exquisite collaboration with Maison Lesage, the camellias are embroidered here with silk and metallic threads and natural pearls. 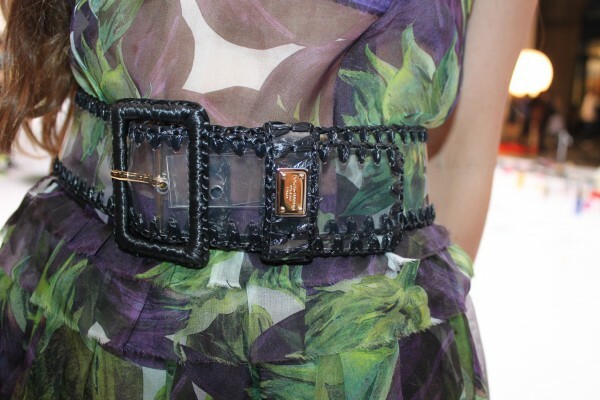 This exceptional piece is hand-stitched in a highly delicate display of precision and refinement. 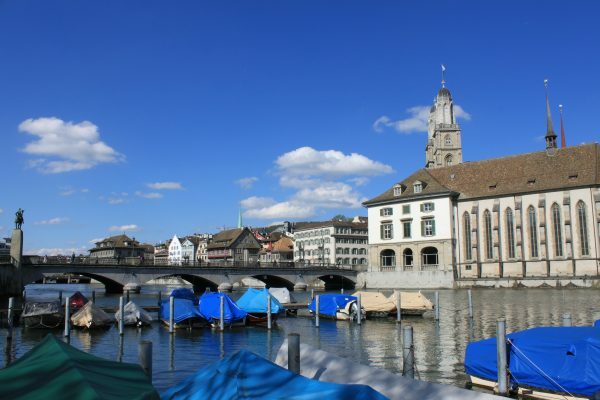 Unique piece manufactured in Switzerland. 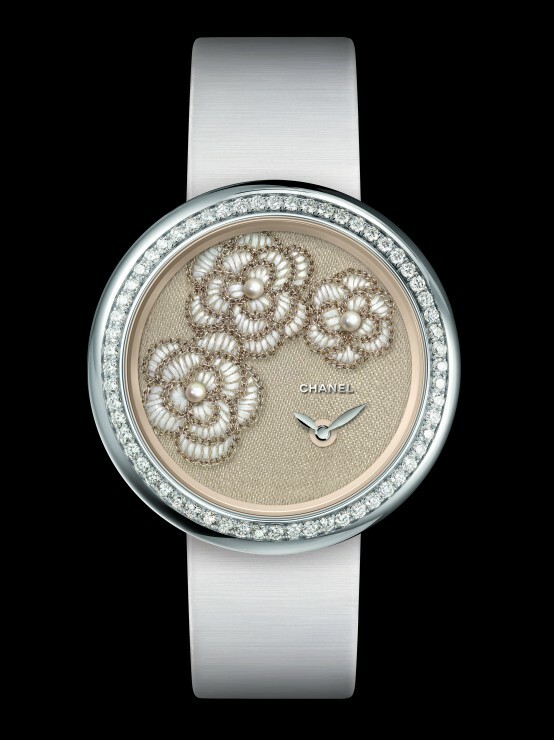 « Mademoiselle Privé » watch in 18-carat white gold set with 140 brilliant-cut diamonds (~ 1.49 carat). A true object of desire! 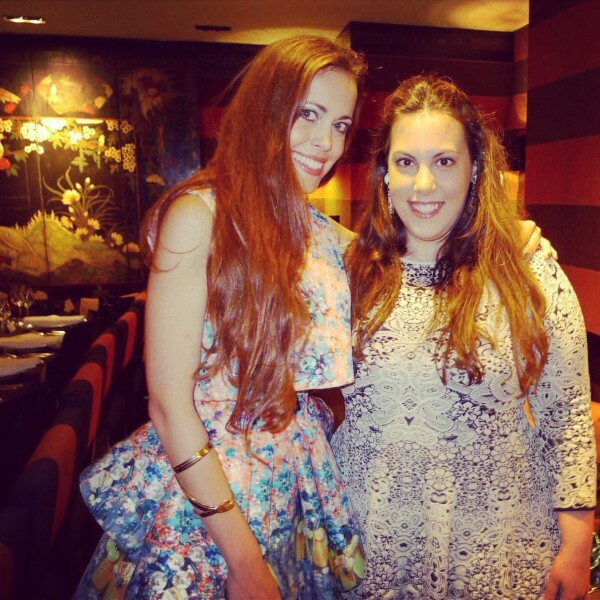 Fast Fashion – Aren’t You Lovin’ It? Love or hate it? I like playing with fashion and Jeremy Scott‘s fun approach for Moschino for the F/W 2014 season has already started to be eaten up by the fashion crowd. 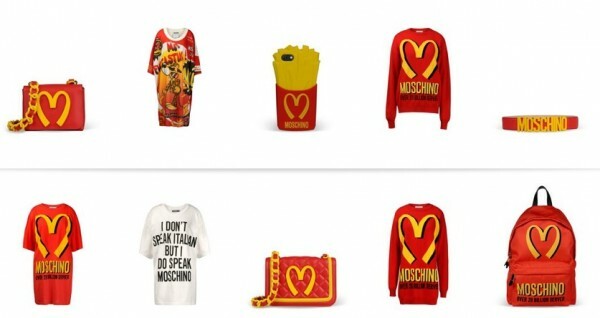 Combining Ronald McDonald and Coco Chanel, he send down tops and quilted bags in the colors of the famous fast food chain. Franco Moschino was known for his humorous take on fashion and his successor Jeremy Scott, who is an icon of junk culture, managed to design trash pieces that are flying off the shelves. 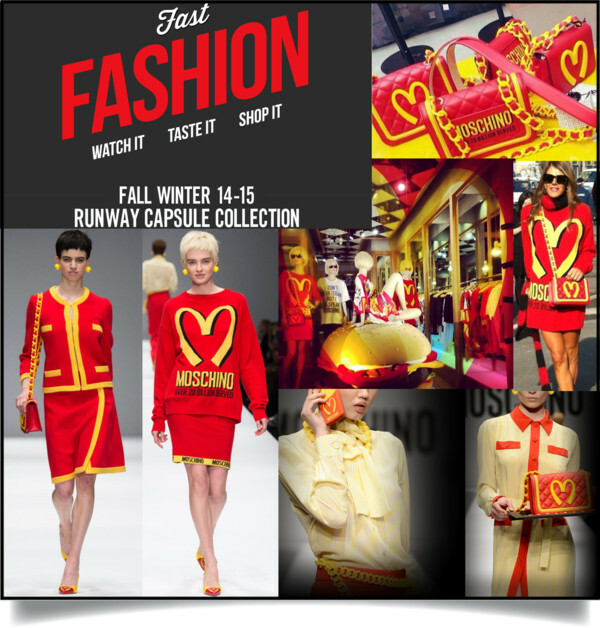 The capsule collection is already available online on the MOSCHINO website and it is almost sold out. It will also be available soon on net-à-porter. 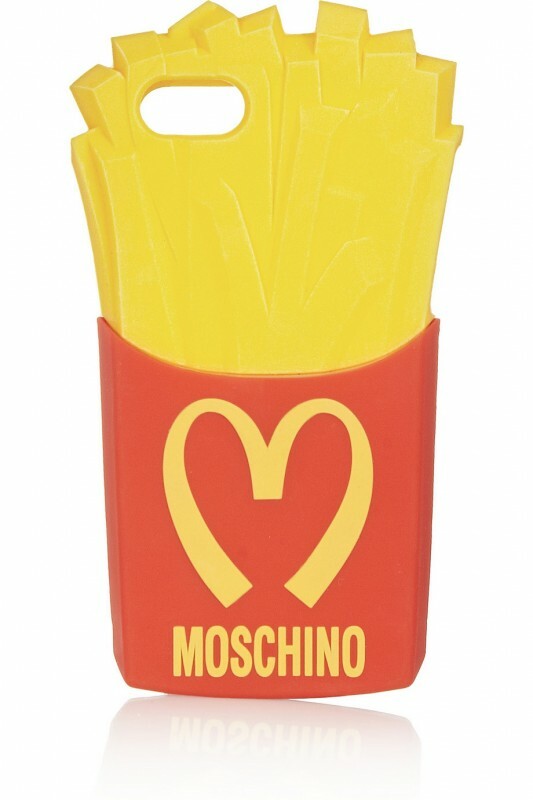 The first piece that has arrived is this fun French Fries iPhone 5 cover. What do you think about it? Aren’t you lovin’ it? 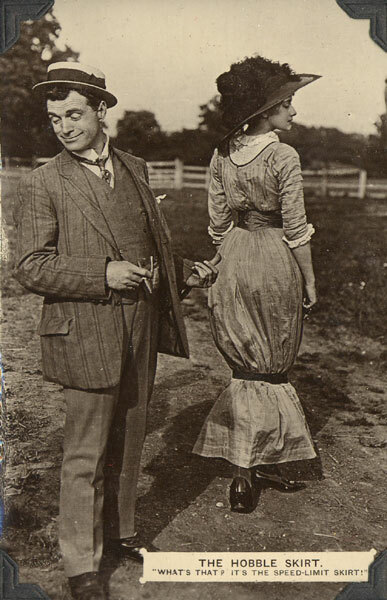 The invitation sketched by Karl Lagerfeld read, “Coco Chanel back in Dallas” and he took it literally. 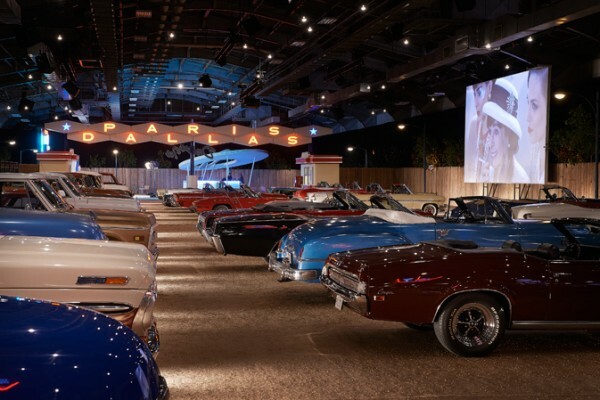 His fashion show for the Pre-fall 2014 Métiers d’Art collection titled “Paris-Dallas” took place last Tuesday at Dallas Fair Park, a historical venue with art-deco architecture that is located in the heart of the Texan city. 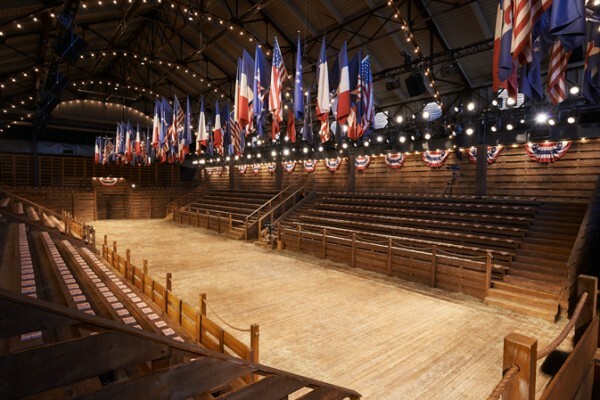 This event was the occasion to celebrate the strong bond that linked the French designer to the US. “I admire and love America. It’s where I made my fortune. For many Americans (…), I am France” stated Gabrielle Chanel, cited by Paul Morand in his book, The Allure of Chanel. 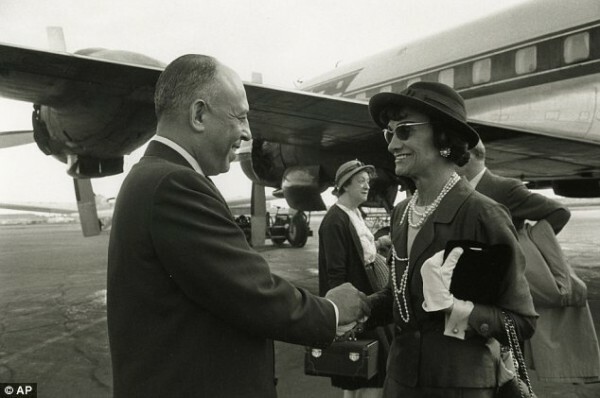 The climax of this mutual passion dates back to 1957, when Coco Chanel – accompanied by a delegation of 125 people from France – landed on October 14th at the Dallas airport. 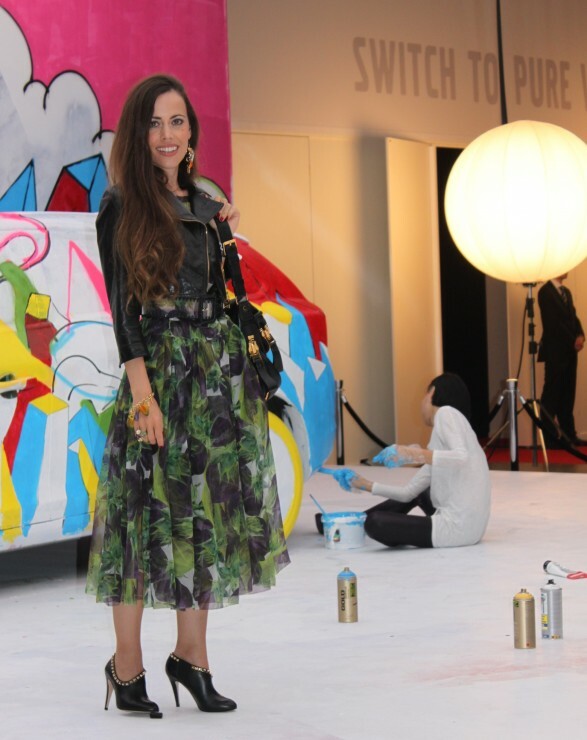 Stanley Marcus, co-founder of the Neiman Marcus store, awarded her with the Neiman Marcus Award for Distinguished Service in the Field of Fashion, the “Oscar of Fashion”. That year, the designer of rue Cambon is the only winner among the 300 fashion designers invited, an indication of the importance she holds in the hearts of Americans. 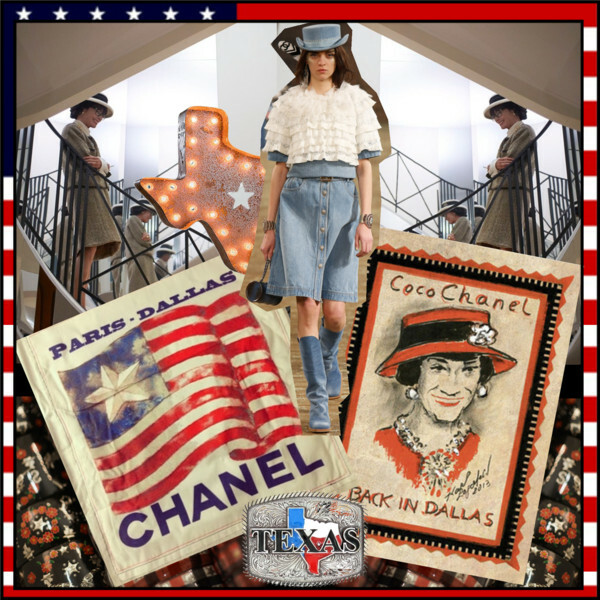 During her twelve-day Texan journey, Gabrielle Chanel dazzles the crowd to the point that Time Magazine reports the event by titling it “Dallas in Wonderland”. Fifty-six years later, Karl Lagerfeld returned to Dallas and retraced this journey that sealed the French-American love story of the designer with the people seduced by the modernity of her creations. 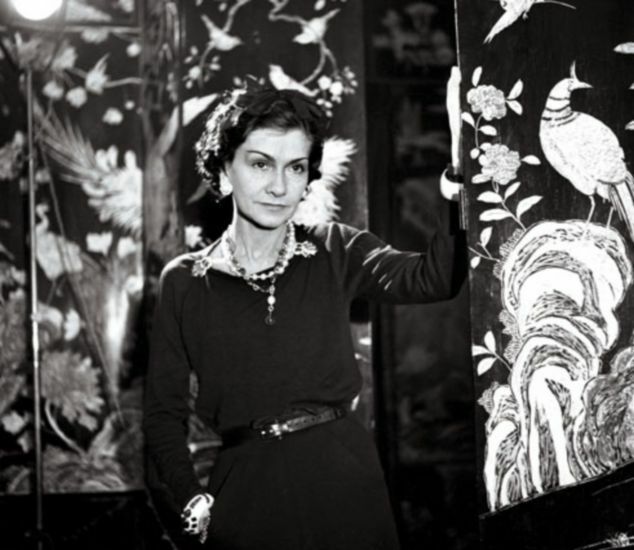 To celebrate the occasion, Karl Lagerfeld directed a short movie titled ‘The Return’ in which he shows Coco Chanel’s incredible return to center stage in December 1953 when the designer reopened her Haute Couture house after fifteen years of absence. The collection was welcomed by the French press with an icy silence as Dior’s 1947 New Look, cinched at the waist, had taken over the fashion hype. Only the American media supported the looks that defined the rebirth of Chanel’s style. ‘The Return’ retraces this determining period, that shaped the legend of the designer of rue Cambon forever. 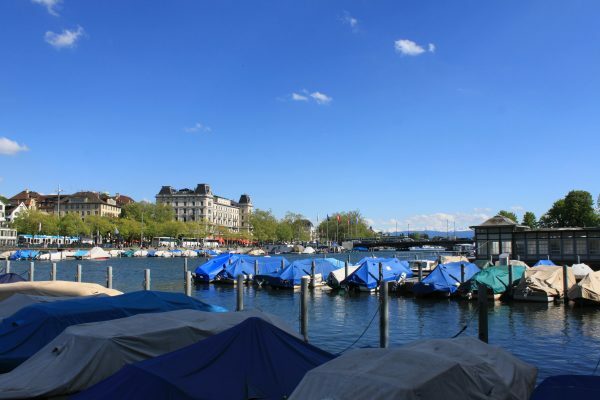 The film features Geraldine Chaplin in the role of Gabrielle Chanel, Rupert Everett, Anna Mouglalis, Lady Amanda Harlech, Arielle Dombasle, the model Kati Nescher, as well as Vincent Darré and Sam McKnight. 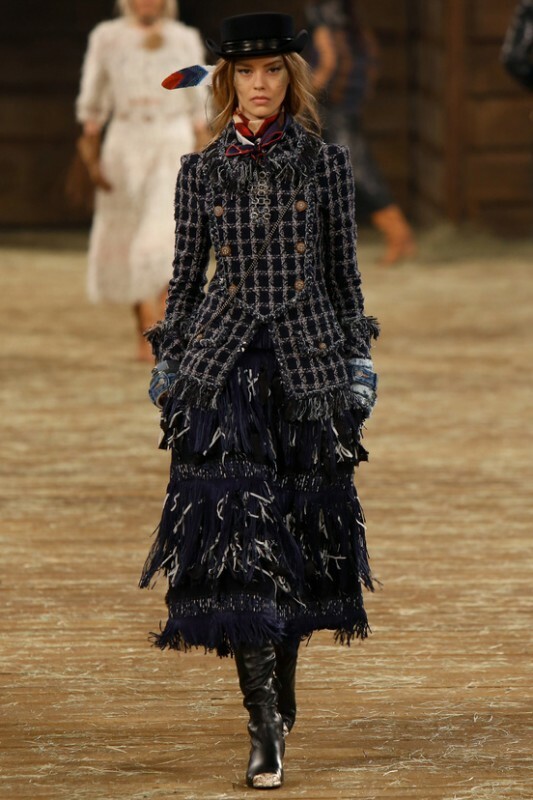 Chanel’s Métiers d’Art collections are designed to showcase the amazing and outstanding craftsmanship of the ateliers that the House of Chanel has acquired to preserve over all those years. 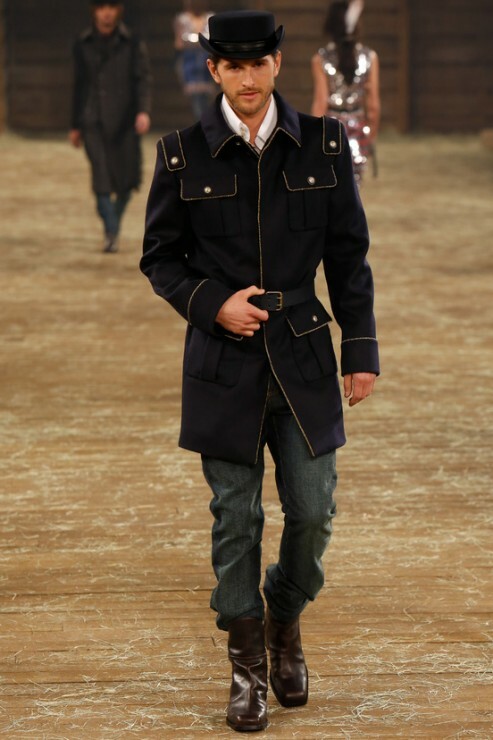 Personally speaking, I admire Karl Lagerfeld for his creativity that never uses an element the way it is meant to be. 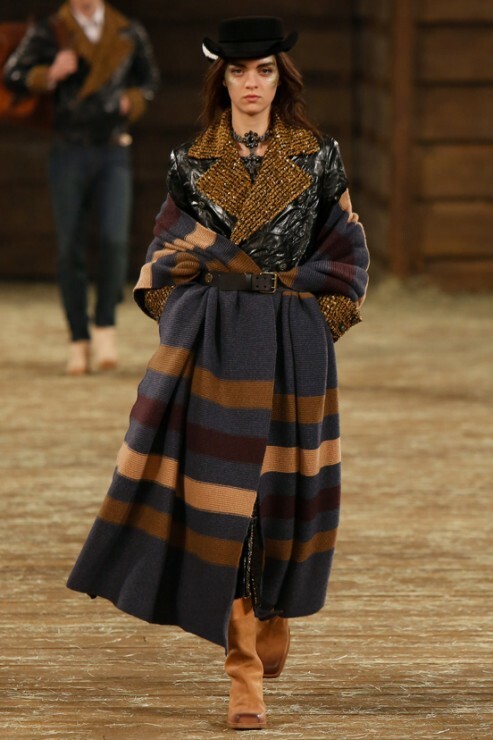 He transforms cowboy boots into wider versions, plays with texture so that laminated jersey looks like shiny leather and brings Native American details into the modern world. 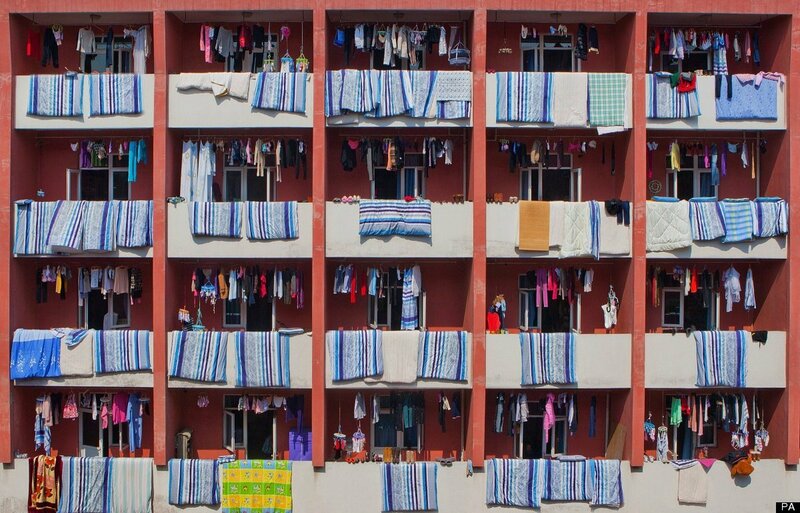 Enjoy the photos of this absolutely fabulous collection! 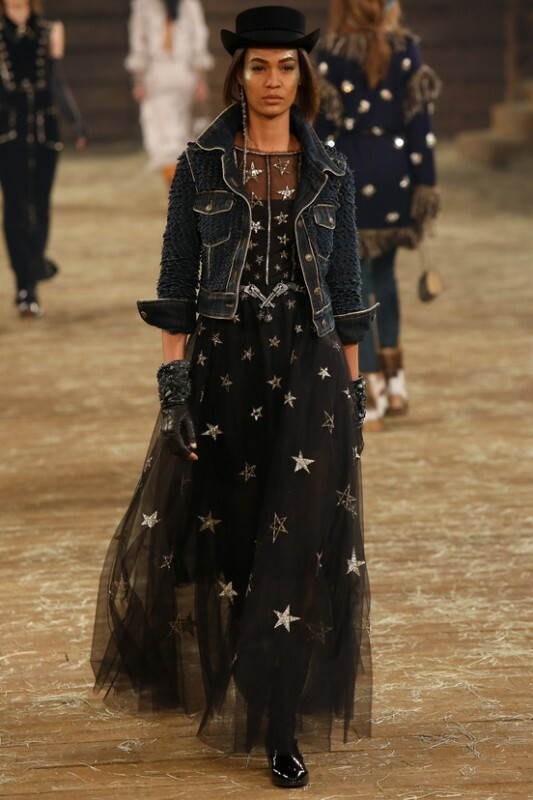 My favorite is this dark star-spangled gown, an ode to the ’30s with the right edge of a Texan cowboy girl! 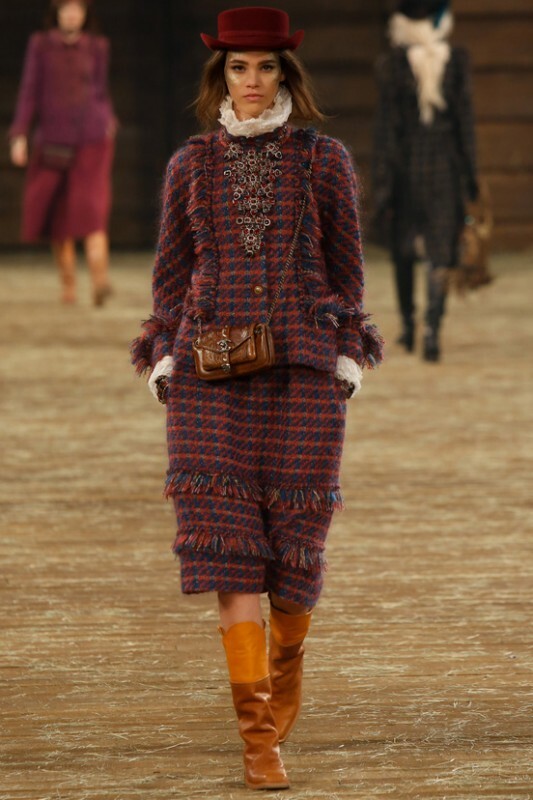 So, ladies, that’s what y’all are wearin’ next fall! Karl Lagerfeld has chosen Kristen Stewart, who attended the show last Tuesday, to be the face of the upcoming campaign of the Pre-fall 2014 Métiers d’Art “Paris-Dallas” collection. I have to say that the American actress is not my favorite choice… but I am sure that Karl Lagerfeld will surprise us with something different once more. Coco Chanel once said: “Luxury must ne comfortable, otherwise it is not luxury…”. Wishful thinking and not always true – unfortunately. Fashion weeks are approaching and I start slowly getting myself organized for some stylish but comfortable outfits in which I can run around the whole day and look good at the same time. Here you see today’s shopping obsession: Tiger-intarsia knitted sweater by Kenzo, stretch-leather skinny pants by The Row, Emile textured-leather tote by Alexander Wang (love its rose gold-finished design) and black leather ankle boot with metal chain by Givenchy (one of the hottest shoes of the season). My notes and my iPhone should look stylish as well with the runway textured-leather notebook by Smythson an d the chain-embellished cover by Moschino. I will finish off the look with some statement nails and vibrant lips: Giddy Kipper nail polish by Butter London and Persistence matte lip color by Kevin Aucoin. 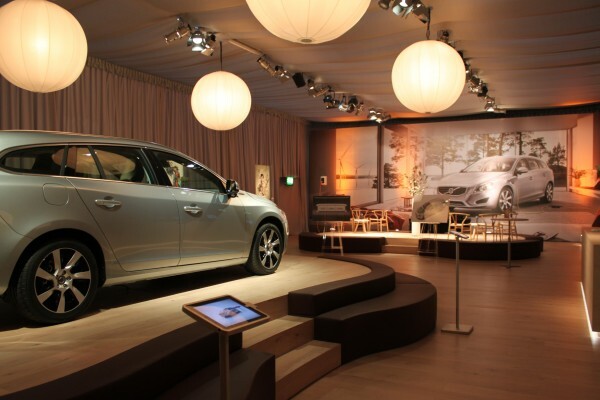 Last night, I went to Volvo‘s VIP event “Switch to Pure”, the official presentation of their new V60 Plug-in Hybrid car. Cropped leather jacket (from a previous season) by Prada, eggplant-print silk-organza dress, raffia-trimmed PVC waist belt , cameo and onion clip earrings, eggplant and bell pepper bracelet, all by Dolce & Gabbana, “Diorette” ring by Dior Haute Joaillerie, flap-over zip bag by Tom Ford and studded leather ankle boots by Valentino. 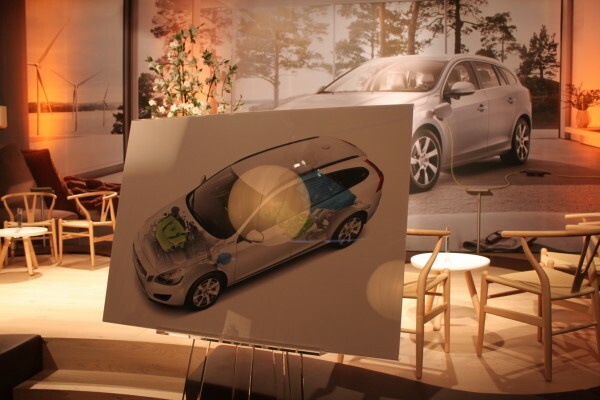 With this in mind, dear ladies, you should have a closer look at the new Volvo V60 Plug-in Hybrid. 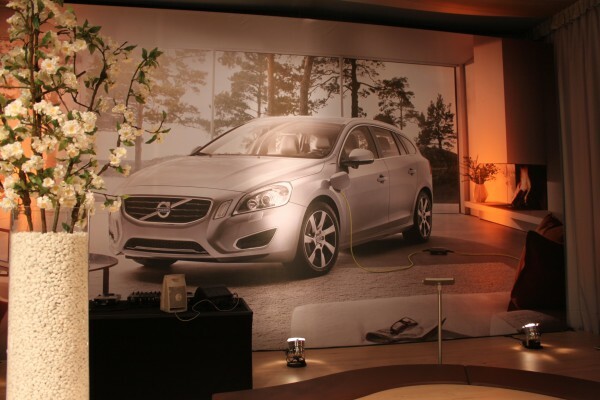 You get three modes in one: Pure, Hybrid and Power, this is like a closet of cars. Each day, you can choose in which mood you are.